Only 95 km away from Samokov is the largest monastery in Bulgaria. The monastery is situated at 1147 meters altitude in the fragrant pine forests of the Rila Mountains. The monastery is a complex of cultural, residential and industrial buildings with a total area of ​​8,800 square meters Rila Monastery has an unique architecture. Outside, a 24-meter stone walls of the main buildings, which form an irregular pentagon, the monastery looks like a fortress. 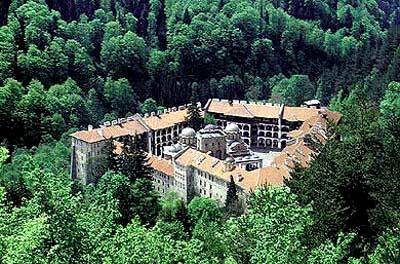 The monastery was founded in the 30 years of the tenth century in the Rila Mountains. During its existence the monastery was repeatedly reconstructed, demolished and rebuilt. 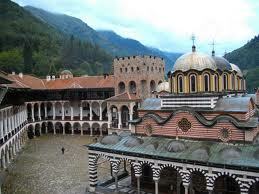 Rila Monastery acquired its present appearance in the middle of the last century. 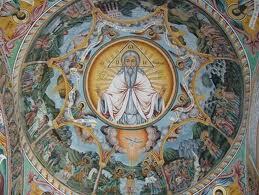 It is the largest and most respected Bulgarian monastery. 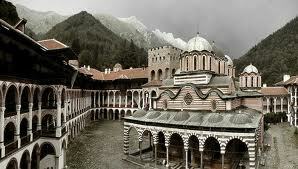 It is believed that the founder of the Rila Monastery is the first Bulgarian hermit monk Ivan Rilski (876-946g). In the middle of the cobbled courtyard in a strange symbiosis cohabit the fortress tower “Hrelyova kula” and the silver baroque domes of the main church. The impressive stone tower was built by the local feudal Sebastocrator Hrelyu in 1334-1335. The monastery’s main church “Virgin Birth”was built about 1844. One of the most valuable things inside is the iconostasis with its incredible carvings. The murals were completed in 1846 and are the work of many artists, but only Zahary Zagraph signed his paintings. The church has a large number of icons created between the 14th and 19th centuries. Since 1961 the monastery was converted into the National Museum and UNESCO announced the complex cultural monument of world importance.